I can see a lot of Elementary Apps in the notification settings, and I know that I can hide the notifications for those apps. But what about the other apps grouped in the category "Other"? Can I hide the notifications for 1 specific app without hiding the rest of "Other" apps? 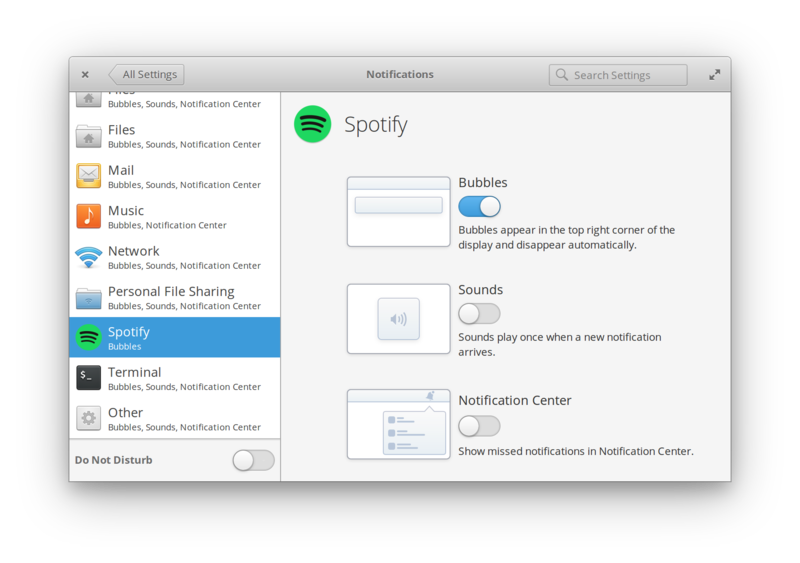 I specifically want to hide Spotify notifications, but if there is a generic solution this could help a lot of people. You can add the following line to the bottom of the .desktop file for the application in question and it should show up in the notifications settings so you can configure it like the elementary applications.